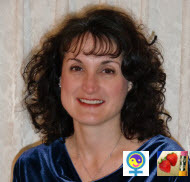 Michelle Traub, MA, RDN is a Connecticut writer, web manager, and dietitian / health educator. Since 2000 Michelle has worked on all facets of marketing communications from managing websites to creating print campaigns. With particular expertise in nonprofit communications, Michelle writes from the heart and produces effective communications and health promotion campaigns that get results. Web Content – websites, blogs, e-mail campaigns, social media, and more. Michelle is also a dietitian nutritionist and health educator with a master’s degree in Integrative Health. She utilizes her expertise in health writing and through health coaching sessions. For more on my experience, visit About Michelle or Contact Me today, 203-506-1024.